Kings Park considers itself “The North Shore’s Best Kept Secret” and for good reason. 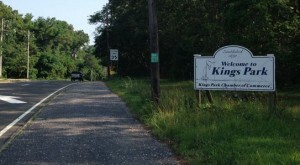 With beautiful beaches, a close knit community, and a small town vibe, it is a great place to live in Suffolk County. Kings Park Day is an annual event that brings the entire town together for games, food, fun, raffles, and more.